A couple of days ago, someone told me that Bi-ble, the anthology currently trying to attract funds on Indiegogo, claimed to be the 'first' such book. As we couldn't spot the claim on the page or on the Monstrous Regiment site, were they mistaken? 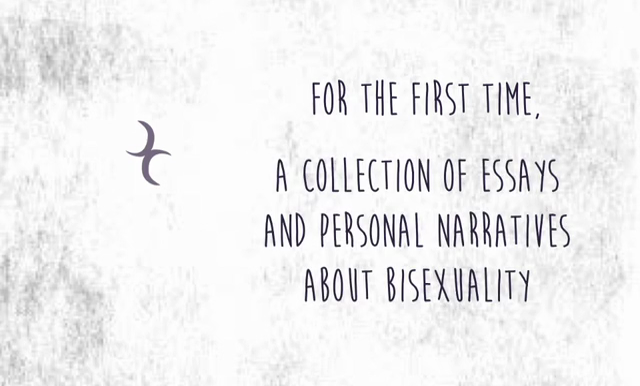 … as well as no (Bi Lives: Bisexual Women Tell Their Stories 1999), no (Bi Lives: Bisexual Men Tell Their Stories 1999, no (Getting Bi 2005, second edition 2009) and doubtless a few more. I'm very sad to say this, but… this is what erasure looks like. Oh, the editors are now up to four out of four for 'authors who've been featured in a series of promotional blog posts' being white women too. If they want to have a book that will be remembered for the right reasons, they need to postpone publication until the problems have been sorted out. It's not good enough at the moment, it really isn't.